There is one thing that all celebrities make their mission to have. It’s bright, white and a guaranteed head turner. Yes, our celebs just can’t do without a dazzling Hollywood smile. From reality star royalty, to Hollywood legends and pop star personalities, this luminous look is simply essential for each and every VIP. That must include us too then! Normally, our celebs spend a whopping amount of money trying to buy their perfect smiles – hundreds, sometimes thousands. Nevertheless VIP’s, don’t fret! You don’t have to spend a ton of money in order to get your sparkling set. You can achieve whiter teeth the affordable way and even do it in the comfort of your own home. I’ve been on the hunt for the best home whitening kits on the market and I found two great options. This American bestseller launched in the UK this summer, available for purchase at all boot stores. It comes with a whitening mouth rinse solution, an activator whitening gel and a dual action whitening light which has it’s own timer. This kit’s really simple to use as well. 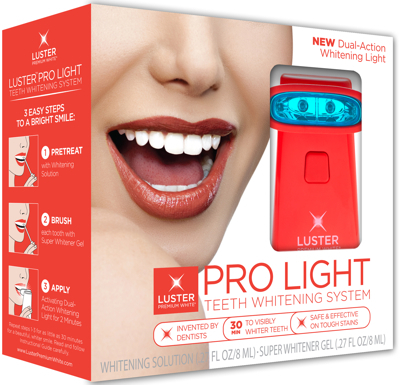 All you do is rinse your mouth with the whitening mouth rinse, paint your teeth with the whitening gel and then use the light to cover it for 2 minutes. Now, this kit is easy to use but a tad bit repetitive because you must repeat these steps 20 times which equates to an hour of whitening. But, the good news is you only have to do it once a week. What also makes this kit so good is that is doesn’t make your teeth sensitive afterwards, so it’s pain free and that’s always a plus. This kit has been around for a while. It’s definitely an oldie but goodie. 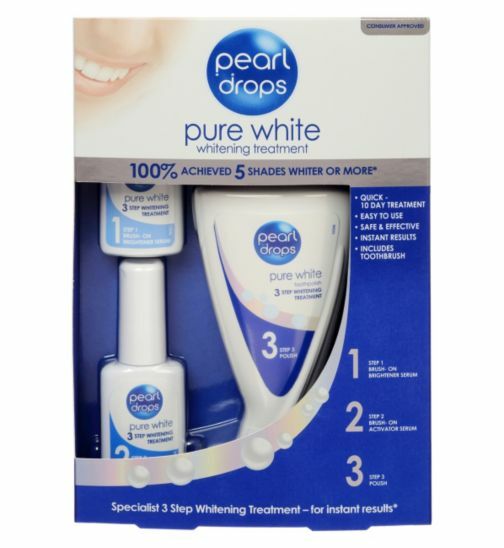 It comes with a brush on brightener serum, an activator serum and a pure white tooth polish. After brushing your teeth, apply the brightener serum and wait 30 secs. Then do the same with the activator serum again waiting 30 secs. After rinsing, wait 20 minutes without any consumption to brush on the tooth polish for 2 minutes. The downside with this is there is a lot of waiting involved and you have to repeat the ritual everyday however, you only have to do it for 10 days. Not so bad if it’s the price you pay for smile brightening pearly whites. Both of these kits are designed to restore the natural whiteness of your teeth, so for those who go weak at the knees for a cigarette or some Starbucks, these kits are ideal for you. Let us know which one worked for you!